1. Get a Blog – Some people (we’ll call them fancy) decide to start a blog and they get to hire a design firm and be all official. Most bloggers, myself included, start with a site like Blogger. Blogger is a platform for blogging that walks you through the process, shows you how to set up your page and then let’s you have at it. 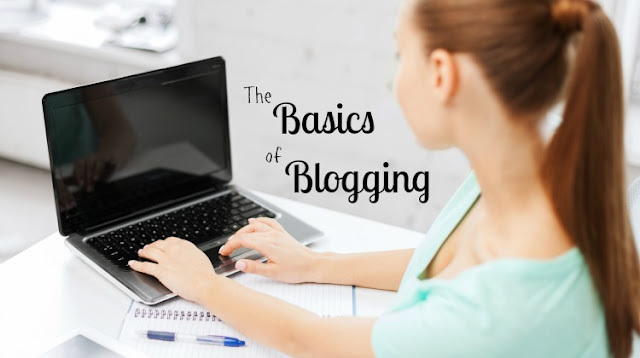 It’s a great place to start to see if you actually even like blogging in the first place. 2. Get a Plan – What is your blog about? If the answer is “my life” that’s probably not a good enough plan. I don’t mean that your life isn’t great and interesting and super cool, I just mean that there are 18 million blogs online (literally, Forbes counted) so how are you going set yourself apart? 1 year ago when I started my blog to promote my events company I wrote about myself. I’d talk about what I ate for dinner last night or my favorite indian restaurant in town and only my mom read it. One day an intern (bless his heart) asked me, do you know that a blog is supposed to be out something specific? The thing was, I didn’t know that at all but it’s true. Your blog needs to be about something specific — yes, you should be evident in it, after all, you’re the one writing it. But consider making a blog about your specialty. So maybe you’re the best blogger for home schooling a house of all boys. Maybe your the best blogger for knitting sweaters for dogs. Maybe you’re the best blogger for making tissue paper pom poms. The point is, if you establish yourself as a voice in a specific area it not only gives you direction but it quickly gives you fan base for like minded people. 4. 5. Get Social – If you’re going to run a blog social media is a HUGE component of that but it can be really overwhelming to find yourself on seven different social platforms. I suggest picking one or two you already really love to do and then just use those. If you have a Twitter but haven’t posted to it since last October this isn’t helping your brand. Build your blog up on a platform you love and don’t just use it to promote yourself. For instance, if I was the best blog for knitting dog sweaters I’d be sure and share all kind of content that other dog sweater people would be into. Be a curator of content your readers will love and they’ll identify you as the place to get the best information on the topic.